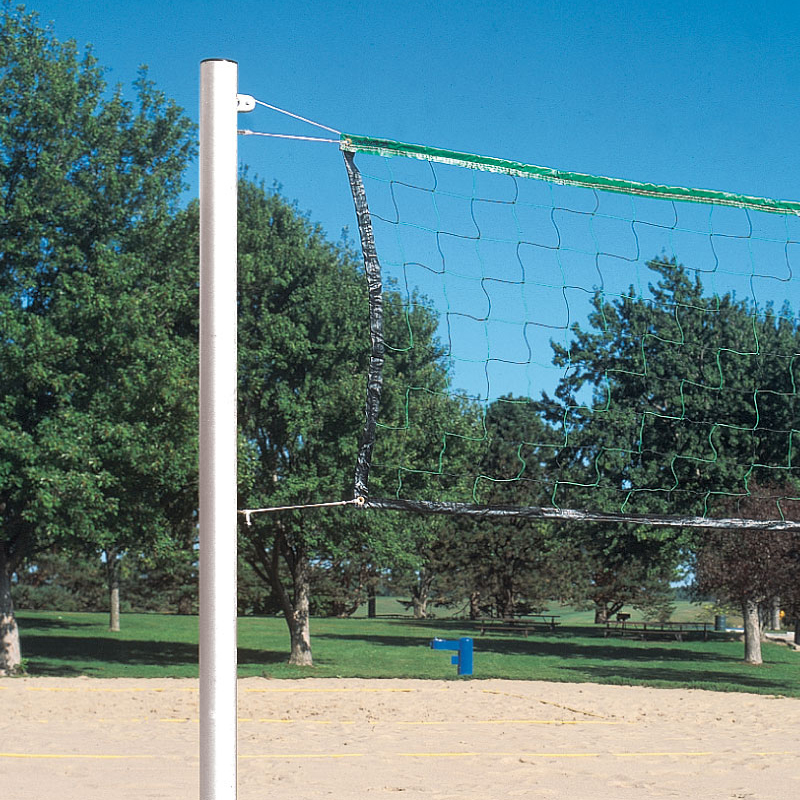 Championship Outdoor Aluminum Volleyball System - 505501 :: Draper, Inc.
Posts are height adjustable and are constructed from specially designed heavy-wall aluminum extrusions. Lightweight aluminum materials make set up and tear down easy. Post is finished with durable white powder coat. Net height adjustable from 42" to 96" (107cm x 244cm) for all levels of competition. Easy to read height indicators on both posts. Backlash-free worm gear top rope tensioner provides superior net tension for ball rebound. Net measures official sized 32’ x 39’ (975cm x 1189cm) and features a 1/4" (6mm) top cable, 3/8" (10mm) bottom rope and white top, bottom and side tapes.